The idea of guest blogging might not seem like the most attractive idea to get your content out when you already have your own WordPress blog that you take the time to manage. You spend time researching and writing a post only to hand it over to another person to put on their site. What benefit does that offer you in the end? The concept might be strange, but many individuals do in fact participate in guest blogging across a range of related sites. It doesn’t cost actual money to make a blog post besides what you pay for hosting and a web designer if creativity isn’t your thing, but it does take valuable time to research and write one. The question comes down to whether it is worth taking your time to create content to post elsewhere, and that answer should be yes. Here are four ways guest blogging can be beneficial to your site. Expanding the audienceYour blog should have a targeted audience that your content is relevant to. When you publish content, you’ll need to ensure that what you’re creating is what your viewers want to see to keep them coming back for more. 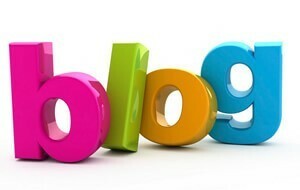 Guest blogging allows you to reach a larger group of people and attract new people that might not have visited before. Better SEOAn essential part of building your site’s popularity is to focus on Search Engine Optimization or SEO. Google factors how many legitimate sites link to yours when determining how high to rank it on search engine results pages. You’ll have higher visibility and hopefully get new viewers. While you might not see an impact right away from guest blogging from direct referrals, you’ll see a difference in long-term analytics. Bringing in trafficViewers generally stumble upon the main page on your site, but what about the other pages you’ve got active with useful content? Guest blogging allows you to bring new people to certain landing pages that expand on what your site offers to viewers. Bringing new people to these detail-oriented landing pages can turn these viewers into potential customers and repeat visitors. Reputation and authorityGetting published on a well-established blog with a large following has the potential to create a surge in your traffic. Visitors to professional and well-=established blogs trust the content that is posted, and if you manage to get a post published, viewers will think that you’re a reliable source to go to for information on the topic. Guest blogging on one or two sites can lead to more opportunities to spread your content and expertise. You’ll increase your visibility and expand future possibilities by taking the risk and diving into the world of guest blogging.